Are your online accounts secure? We keep a lot of private information in online accounts, such as our home address, credit card numbers, and health details. Unfortunately, keeping other people from accessing our accounts has become increasingly difficult as is confirmed by the news reports of security breaches we hear over and over again. Fortunately, there is a quick and easy way to significantly increase our online security and it is known as two-factor authentication or two-step verification. Here’s how it works – when you login to a website after enabling two-factor authentication, you will enter your login information like you normally would, but then you’ll be prompted to enter a security code. You can receive this security code in a variety of ways depending on the option you select during sign up, including text message, email, or an authenticator app. That message will include a random set of numbers that you’ll have to use to log into your online account. The extra step of entering a second password can be a bit annoying, but it’s well worth the hassle. As an added benefit, it also lets you know when someone is trying to get into your account without your knowledge by sending you your two-factor credentials when a log-in attempt is made. If you’re not the one trying to get into your account, you know someone else definitely is. 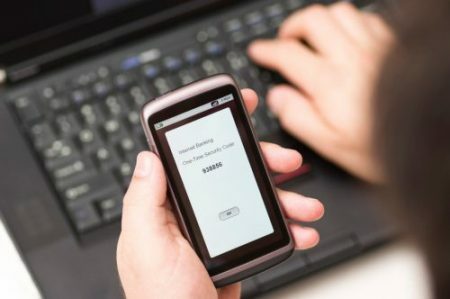 Two-factor authentication is one of the best ways to prevent unauthorized access to your accounts, even if somebody manages to steal your password. Most popular services (i.e. Facebook, Amazon, PayPal, etc.) now offer two-step authentication as well as many banks. Check with your bank to see if two-factor authentication is available.